Tennis Court Tiles Play Like a Clay Court ! Originally designed by a team of orthopedic surgeons to reduce the impact shock to muscles and joints of playing tennis on a hard surface. It is the finest tennis court tile on the market today! absolutely wonderful stress relief on ankles, legs and knees. It is fantastic to play on. Plus I can really see the maintenance advantages." addition to a great playing surface. court will look great for years to come. There so sure the manufacturer offers a 15 year warranty against fading. cooler while playing on a Versa Court tile court than they are on ordinary asphalt courts. 3. The UV protectant in the tile absorbs the harmful UV rays from the sun that would ordinarily work to degrade the subsurface of your court. 2-3 years of installations, with our tile in place you can look to double or even triple the life of your subsurface. to grip it making slips and falls less likely than on ordinary surfaces. can be left out year round with snow having no impact on it. The tile can also easily be taken apart and moved to a new location if you wish. a puzzle, then when it is all in the right place simply clip the tiles together and you?re done! It really is that easy, no glue, no nailing , no kidding! have specialty logos like your favorite team applied to the tile. 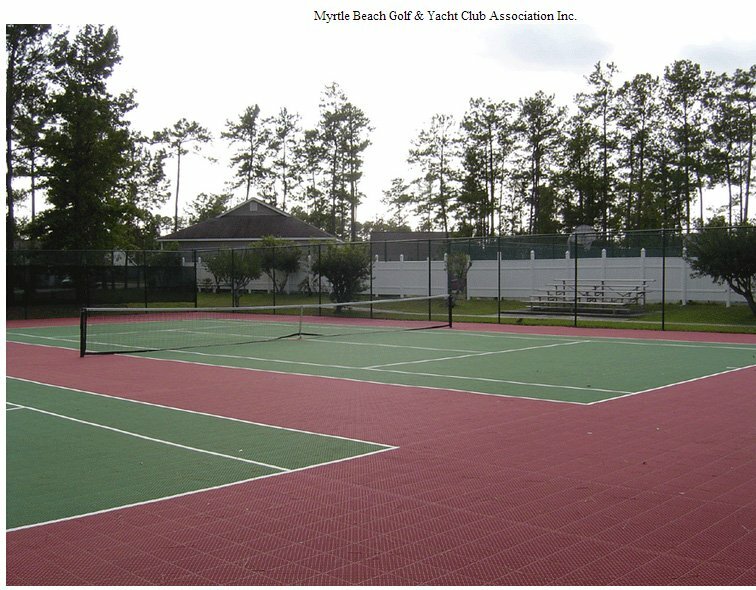 resorts, tennis clubs, and tennis camps, and backyard tennis court construction. so go ahead and click here for a quote on a new tennis court. 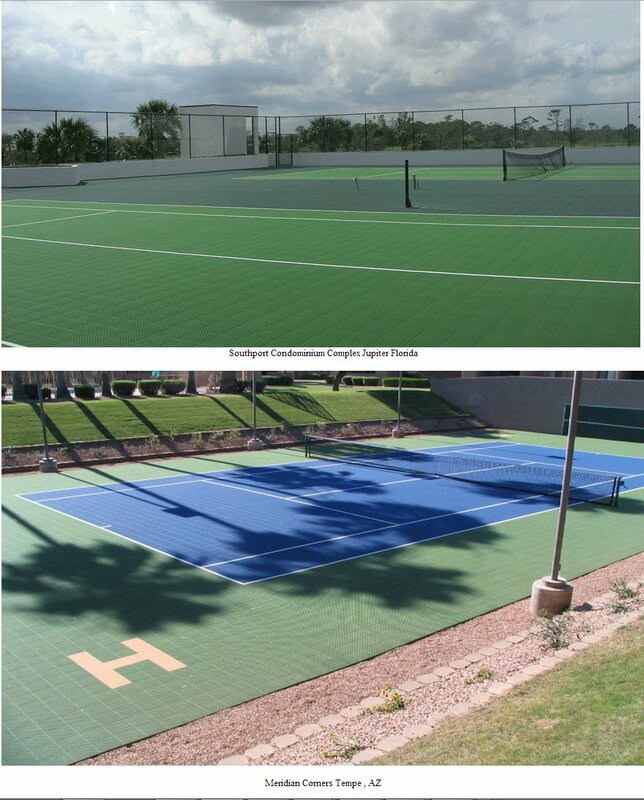 Scroll down to see some other courts installed by our customers.